Jelly beans, jawbreakers, and malt-balls, oh my! For the first part of today's show Cybele and I focus on all kinds of candy coated goodies. We discuss everything from Airheads Bites, to Sugar Babies. Which ones we love, which we hate, and what makes panned candy so appealing. Afterwards, we have a SUPER EXTENDED Trick or Treat featuring a ton of new products. 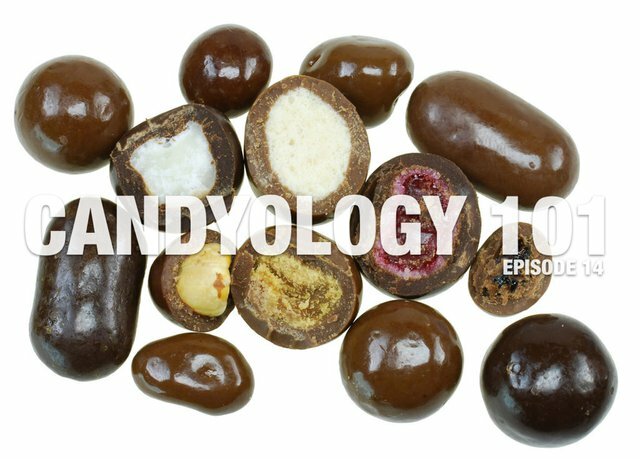 Be sure to check out the Candyology101 Website to see photos of all the new products mentioned. (I kind of geek out over the packaging, so this way you can look at it and geek out with me.) Leave a comment below letting me know which of these items you want to try!